Ultra-High Pressure Hand/ Air Pump is a two stage pumps and is hand operated pressure pump which can generate high pressure. 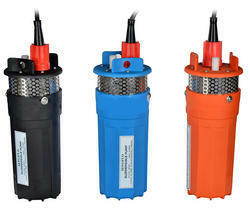 - Polypropelene Hand operated, Light Weight Drum Pumps. - All Internal parts are made of CARBON / TEFLON. - 1″ inlet & outlet tube with dual thread for steel and plastic drums. - Self-priming & self draining quickly. We are a most trusted name in the middle of the highest organizations around here, instrumental in offering Semi Rotary Hand Pumps. It is able to dispense aggressive chemicals such as esters, ketones, and hydrocarbons. 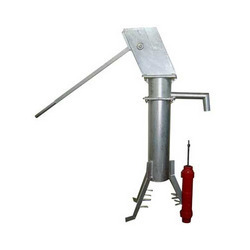 - Hot dip galvanized Head, Handle Water tank and Pedestal assembly. - Pedestals available as three-legged standard, telescopic and with Rectangular flanges as required. Iron hand-pump , can also be used as a base for table or individually. We are engaged in offering an extensive range of high quality of Afridev Hand Pumps with cylinders. These hand pumps are available with cylinders and in various specifications. Known for its high end features, such as corrosion resistance, durability & sturdy design, our range is offered at competitive prices to our clients. We manufacture, supply and export manually operated pumps for global market. Our products include Afridev hand pumps, deep well hand pumps and treadle pumps.